Singer Rain and actors Jeon Do-yeon and Lee Beom-soo have been selected as the winners of the 2nd Seoul 2011 Art Awards. The association for Korean Art and Culture announced the award winners in a total of eleven categories at the Seoul 2011 Art Awards on February 15, including Rain in the category of World Star Grand Award and Girls' Generation in the category of Popular Singer Award. Actress Jeon Do-yeon and actors Lee Beom-soo and Jung Sung-hwa have been selected as the winners in the categories of movies, TV dramas, and musicals, respectively. 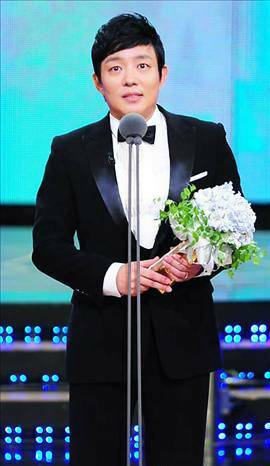 In addition, the representative of SM Entertainment, Lee Soo Man, has been selected as the winner in the category of popular music producer, and producer Kim Young Jin, who had directed the KBS drama for disabled people entitled "Thank You for Making Me Smile", will garner the special award. In addition, the producers of the MBC documentary program "Tears of the Amazon", Kim Jin-man-I and Kim Hyeon-cheol (documentary award), the writer of the KBS drama "Bread, Love and Dreams", Kang Eun-kyeong (drama writer award), the production director of the MBC drama "Dong Yi", Lee Byeong-hoon (drama director award), and the director of the movie "The Unjust", Ryoo Seung-wan were included in the list of the winners in each category. The Seoul 2011 Art Award ceremony, which is supported by the ministry of culture, sports, and tourism and Seoul city, will be held at the Olympic Gymnasium on February 28 at 7 pm. People from child heads of households, the disabled, and heads of multicultural families will be invited for the ceremony. During the ceremony, many commemorating events will be performed by Girls' Generation, Kim Deok Soo's Korean traditional percussion quartet, baritone Suh Jung Hak, the Seoul Philharmonic, and the National Police Agency's whistle performance team.